It made a dull thwack. A thwack, full of bewilderment, confusion and wonder. It was the sound of my palm hitting my forehead. The thwack occurred shortly after reading a Christian Eedes blog post on the newly launched Cape Vintner Classification, and seeing that they had chosen to reference the Vereenigde Oost-Indische Compagnie, or VOC in their logo. In return for membership fees and box ticking capabilities, wine producers will be allowed to place the CVC logo on their bottles. This logo will supposedly signify, high-quality, environmentally friendly, ethically made wines. You can find out more about the boxes that need to be ticked, and the rest of the project on the CVC website (which, by the way, is excellent). I will not question the business savvy of Johann Rupert (the man behind the CVC), who has done rather well for himself, but I will question their choice of logo design. Before it has even had the chance to signify quality, it shouts about oppression, segregation, and colonial rule. It also speaks to our industry’s inability to transform, and come to terms with an ugly, and violent history. While my bachelor of arts degree may not have given me the business know-how of Mr. Rupert, it did give me a solid enough grounding in semiotics to know that referencing the VOC is extremely problematic, offensive, and down right backward. The CVC wants the connection to the VOC to be about the first vines brought out by Jan Van Riebeek, and that most hallowed date in the SA wine industry, the 2nd of February 1659 when wine was first made at the Cape. But you cannot control language and signs that easily. By aligning yourself with this historic and enormous Dutch corporation, you align yourself with the first racial segregation in South Africa; you wash your brand in years of slavery, violence, and the illegal appropriation of land. Only one year after wine was first made in the Cape, the first racial division took place here. In 1660 Jan Van Riebeek’s Hedge was planted to separate the Khoi from the Dutch settlers. This began a history of racial divides that would persist for almost all of those 350 years of winemaking the Cape Vintner Classification so proudly champions. The CVC wants its logo to denote quality – which it might just do – but its connotation will be the tale of our colonial past, and a worrisome narrative that pays homage to European settlers while too comfortably ignoring the oppression, thievery, and racism they brought with. The logo’s narrative is more complex than just a problematic hat-tip to our colonial past, it speaks of how our industry sees itself today. The South African wine industry has not been able to transform adequately in the last 20 years. It is still majority white owned, tastings I attend are almost exclusively white, and winemakers too are mainly white men. Within the industry it is an uncomfortable topic and, I think, generally ignored. What of the thousands of workers who toiled in the vineyards for nothing more than a bit of wine? 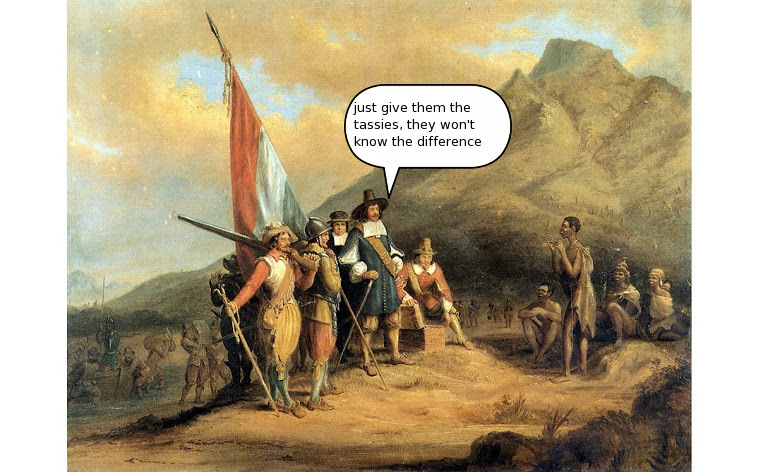 Nope, quality has nought to do with them, quality is derived from the white explorers and colonialists. To replay this tired and selective narrative in 2013 is not good enough. This logo shows the difficulty our industry has in positioning itself in our country’s history. It is complex, and it is difficult. Wine making in inextricably linked to past wrongs, but we should be working toward something better, not holding on to a past that serves only a few. It is similar to the Cape Fortified producers’ inability to move away from using the word ‘Port’. There is an unhealthy, fawning connection to Europe which white South Africans, I think, do not see as problematic. We hold on to a history that serves a minority. A history we need to engage with and tell truthfully. 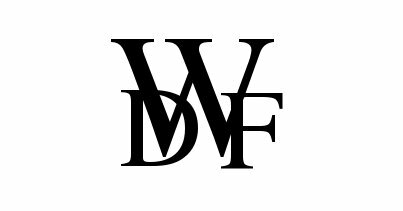 A new, local word for port, and a logo that denotes quality, while also connoting a unified, transformed, and new South Africa. I would urge commentators and role-players alike to continue to voice their comments and concerns, but in an open, polite, transparent and constructive manner in order that our industry can continue this process of forming a united front.